They were great, no problems, just took a little longer than expected, other than that they were great. They are very friendly. It has a mom-and-pop type of feel, and he treated me like a friend. They are doing a fantastic job. I recommend them to a number of people and everyone who has used them are so happy. The car doesn't sit in the shop for months and months. They are fast, reliable, and the quality of work is outstanding. Ilya was excellent, he knew what he was doing, was efficient, quick, and very nice. I would definitely recommend them and I normally don't do surveys but because I was very satisfied I decided to. Their efficiency, I could tell he knew what he was doing. I hardly had to wait and I really appreciated that. 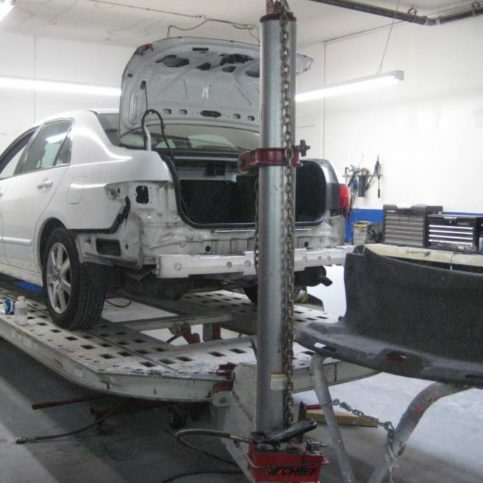 Luxurati - California Auto Body & Repair & Smog provides a complete range of repair services for all types of vehicles at its San Mateo facility, as well as its San Carlos location, San Carlos Collision Center. 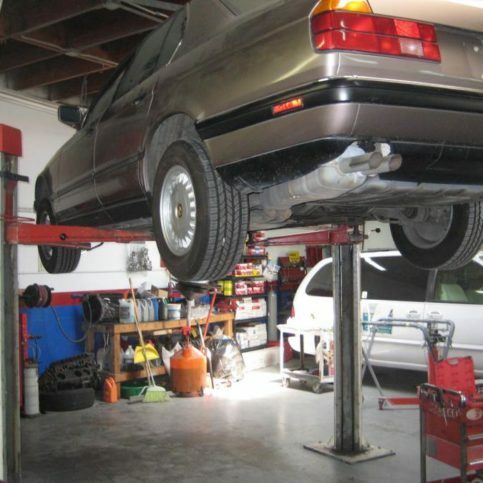 As a full-service auto shop, the company has the training and equipment to handle everything from body work to general repairs and maintenance, and it also offers free diagnostics for the convenience of its customers. 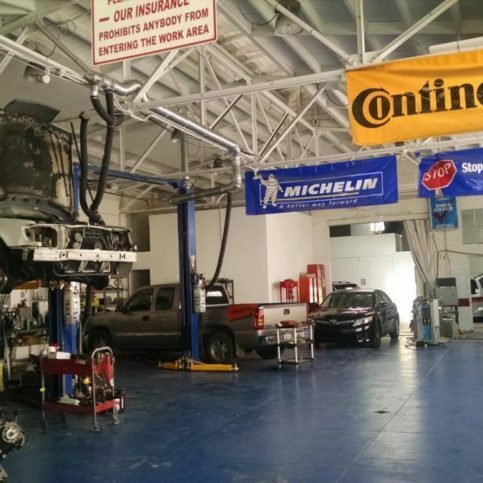 Luxurati has been repairing and maintaining all types of vehicles at its San Mateo facility since 2010. 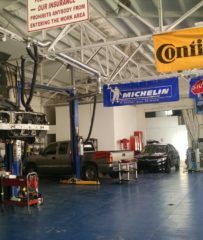 The company has the training and equipment to handle everything from minor and major body work to general repairs and maintenance, and it also offers free diagnostics for its customers’ convenience. Take care of your car’s finish to prevent its paint from oxidizing. When a car is overexposed to sunlight, weather and other outdoor elements, oxidation is the ugly and damaging result. Vehicles have protective layers of clear coat on their paint, and when those layers wear away, the paint underneath is exposed to oxygen, which can cause it to break down and become discolored. If large areas of your car’s paint become oxidized, the only way to fix the situation is to repaint the entire vehicle. A body shop can repair small areas of oxidation, but no rust laminate or scratch remover will be enough to take out large areas. Wash your car regularly—it’ll help preserve the integrity of its wax and clear coat layers, which protect the paint underneath. Wax your car after washing it to provide a protective barrier that shields the paint from rain and oxygen, which are major contributing factors of oxidation. Immediately repair chips, scrapes, scratches, dings and other compromised areas of your car’s finish. 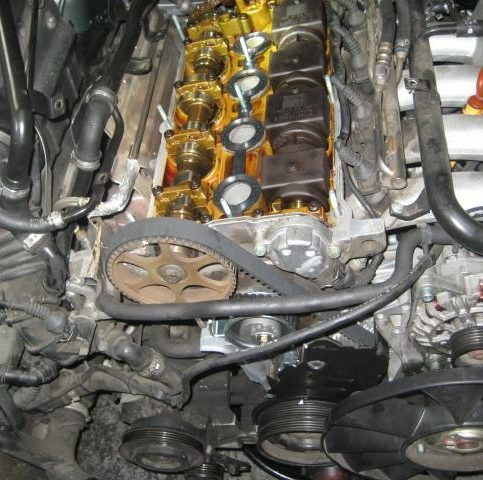 These areas can let in moisture and oxygen, causing rust and oxidization. Have an auto body shop apply a polymer sealant to your vehicle. This sealant won’t wash away over time like wax, so it can guard against oxidation more effectively. Park your car in a garage whenever possible. If this isn’t possible, invest in a car cover to protect your car’s finish from sunlight, rain, wind, dust and dirt. 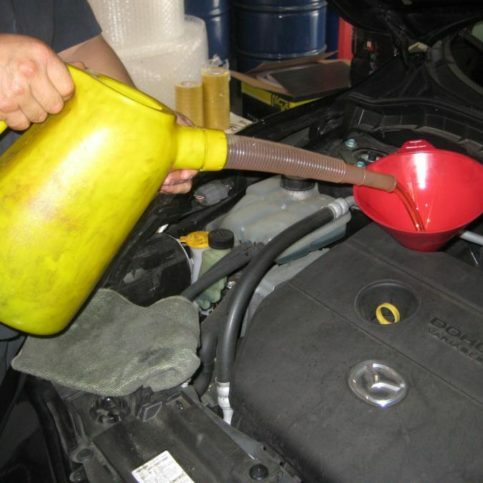 Take your car to an auto body shop if you notice areas of the paint that are becoming discolored or oxidized. The shop may be able to repair and protect these areas before more damage occurs. Q: What kinds of cars do you service? Q: I have a limited repair budget. Can you help me with affordable options? Ilya Rosenthal is a 26-year veteran of the automotive industry and manager of Luxurati – California Auto Body & Repair & Smog, a Diamond Certified company. He can be reached at (650) 273-5406 or by email. A: Both—I like to stay up late and wake up early. A: New Year’s Day. It’s the biggest holiday in Russia. SAN MATEO — From pets to smoke and even fast food, odors can be surprisingly hard to remove from a car’s interior. However, before you take your vehicle to a professional cleaner, you should first try a simple DIY remedy: coffee beans. It’s well-known that coffee has a potent aroma, but not everyone realizes it actually possesses deodorizing powers. In fact, coffee is so good at neutralizing odors that department store perfume counters keep jars of coffee beans on hand for customers to cleanse their aural palettes in between samples. This same faculty enables coffee to absorb and remove odors from your car’s interior. Simply place an open jar of coffee beans in your car and leave it there for seven days. By the end of the week, your odor issue should be gone. SAN MATEO — Host, Sarah Rutan: If you’ve been battling a stubborn odor inside your car, you’ll want to know about a simple DIY solution. Today we’re in San Mateo with Diamond Certified Expert Contributor Ilya Rosenthal of Luxurati – California Auto Body & Repair & Smog to learn more. Diamond Certified Expert Contributor, Ilya Rosenthal: Hi. I’d like to give you a very simple tip. One time my car was smelling of dogs and smoke, and one friend came in and gave me this tip and I’ve used it since then. You take a jar and you put coffee beans, and you leave it in the car for about one week and I guarantee after one week the smell of the cigarettes and the smell of the dog will be gone. They absorb everything. Luxurati – California Auto Body & Repair & Smog : Average 9.4 out of 10 based on 84 unique customer surveys of customer satisfaction. This shop is the best shop in the area. The work and time they take to make sure everything is done correctly the first time. They were able to work everything out with insurance and got the best possible outcome. I would highly recommend them to anyone. I thought they were very efficient and the work was perfect. Looking at the car, you would never know that it was any different. I would say, their work is perfect. Use them. They are a reliable shop and have your best interest in mind. They actually care about the work they do and the customers that bring them business. I would recommend them. They have a good shop. They have been in the community for a really long time. I think that they are very professional, they are very accommodating, and do great work. I don't think there was anything that specifically stood out. The overall work was fine. Best shop, hands down, would not go anywhere else. They were able to work everything out. It was a close call to losing the car completely, but they really made it work. They really were looking out for me. They care about their customers. They got everything done quickly and I can't tell the difference, before and after. They did a great job. They did good on the bodywork. Highly recommended, the work they did has held up and looks perfect. The color match for my car was perfect. Top of the line shop, I won't take my cars anywhere else. The work, it's better than any in the area. They don't cut corners. I was shocked when they changed owners, the previous owner passed, but they managed to keep his style towards customers and great service with the new guys, I was impressed. They are under new ownership and I can't speak for the new team, but my past experience with the prior owner was nothing but positive. They do great work. They were quick and the quality is top notch. They have a new owner, but I think the same guys are running it because they have almost the same exact quality of work. The customer service is still intact. This shop has been around for a long time with a lot of long time customers. They seem to be doing fine. Probably the best quality work I've seen done by a body shop. The end result of the job, I'm overall satisfied. It is definitely worth going there.